So here it is!! 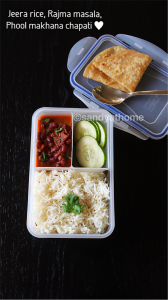 My first recipe for lunchbox series!! 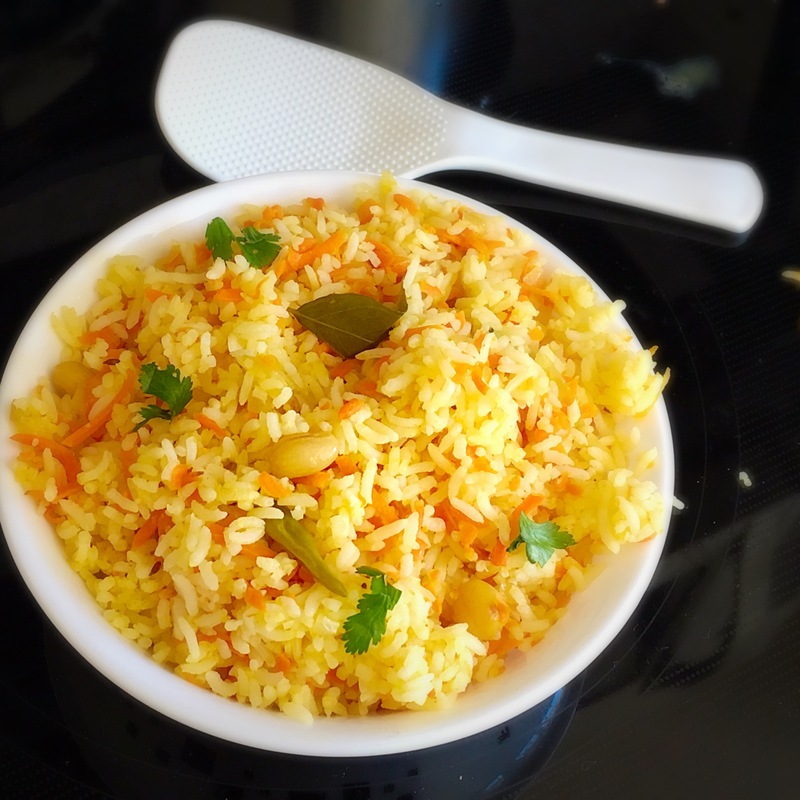 Yes here again we ll witness a lot of lunchbox recipes with some clicks along with it to make it easy. I shall also add notes on how I prepared it which might be useful for all the beginners out there. 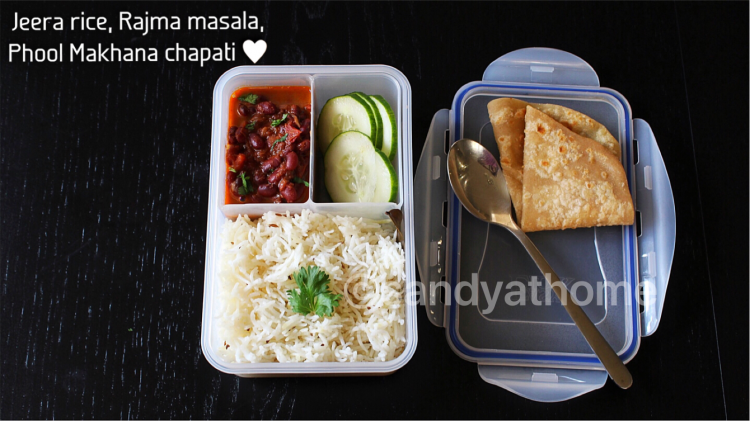 So here is the first lunchbox with simple and easy menu that can be prepared in just 30 minutes. This menu is just to give you idea and does not have to be same. For example instead of phool makhana chapati you can prepare regular chapati too. 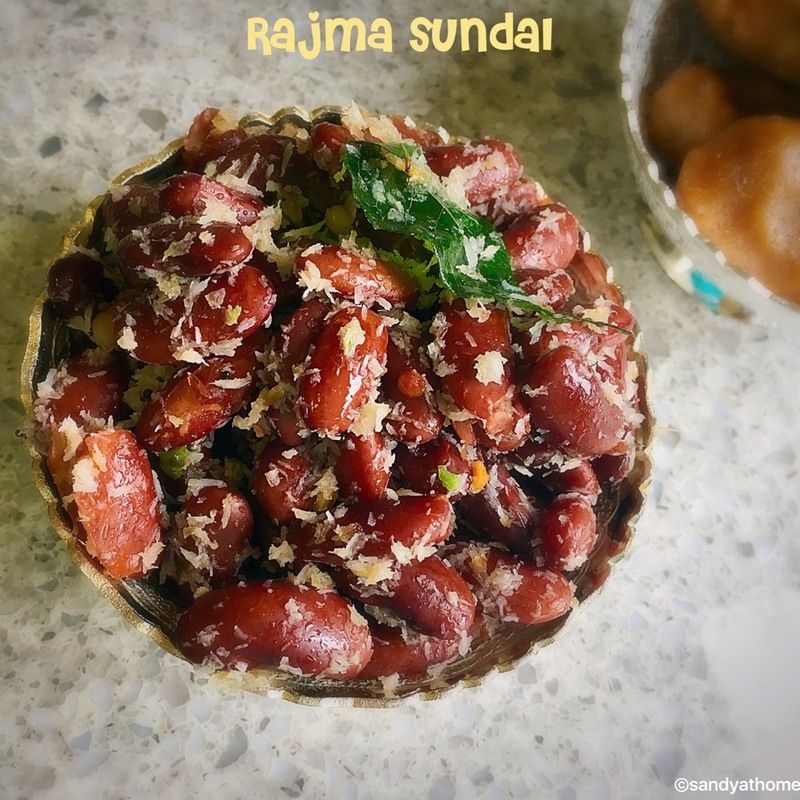 I soaked rajma at night. I made phool makhana powder at night so it was easy to add in the atta/ wheat flour while making dough. While the was cooking I chopped onion and tomato for rajma masala. I made the dough too at that time. While the rajma masala was in pressure cooker I made roti. So everything was done in 30 minutes. I sliced cucumber too to go with it as it was a sunny day. 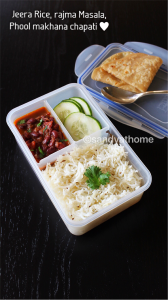 Hope you liked this simple lunch box idea! !